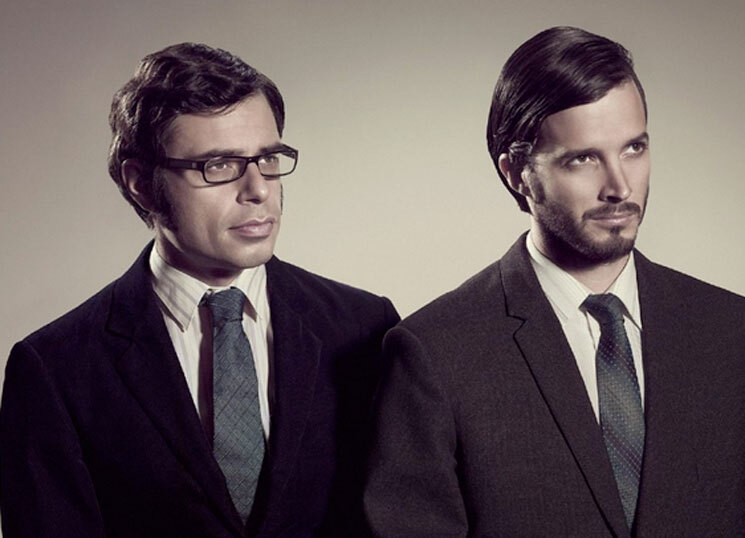 Musical comedy duo the Flight of the Conchords haven't done much in recent years, but Jemaine Clement and Bret McKenzie are reportedly planning to reconvene for a Stateside tour later in 2015. Nothing is set in stone just yet, but Clement confirmed to Billboard that he and McKenzie "are planning on touring later on in the year in the States. It isn't very solid yet, but we've been talking about it." Of course, it's far too early to say whether the tentative trek would come to Canada. Here's the really exciting part: the shows would include new material. "I really don't like the studio part of music," Clement said. "I more enjoy playing live and letting others take care of the recording." They toured in the U.S. in 2013 and Down Under in 2012, and played a scattering of worldwide dates in 2010. Beyond that, they haven't been very active since their eponymous TV show ended in 2009. The duo haven't released an album since that same year's I Told You I Was Freaky. Since then, Flight of the Conchords have been focused on other projects. McKenzie was a musical supervisor and composer for two Muppets movies and has had a small role in the Hobbit films (following his appearance in the Lord of the Rings trilogy). Clement has done various acting and voice work, and he's in a new rom-com called People, Places, Things that just premiered at Sundance. He currently has a Kickstarter campaign that's aiming to fund the U.S. release of his 2014 vampire film What We Do in the Shadows, which co-wrote and co-directed.